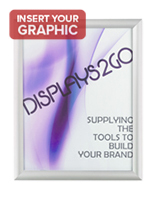 This Premium Sign Supply For Interior Use Features a Wider Frame For Added Strength! 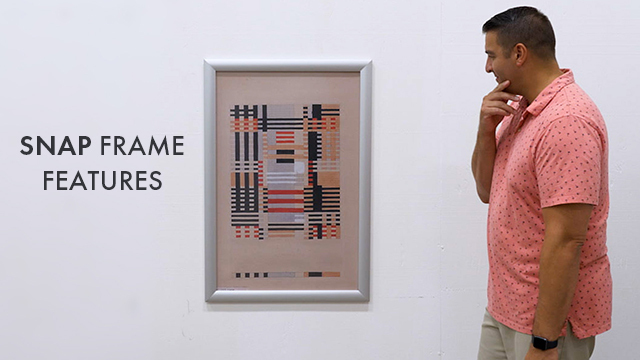 We Have Hundreds of These Frame Sign Supplies In Stock So Don't Wait To Order! This sign supply is engineered with a smooth, fashionable, rounded profile that will add elegance to the atmosphere of any setting. 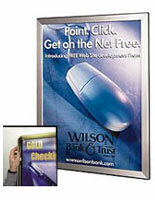 The satin metal finish also accentuates your ad or other printed media. 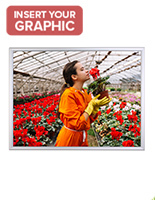 This distinctive sign supply from our manufacturer differs from our other clip visual graphic frames because it has a 45mm (1.77") profile in lieu of a 32mm (1.26") profile. Our company sells the sign supply with this newer, thicker profile because it is more long-lasting and capable of enduring harder use. This metal sign supply that features a wall mount is a silver snap frame with a thicker, 45mm (1.77") profile! 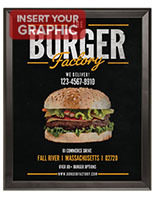 Engineered to accommodate a 24" x 36" printed visual graphic, the sign supply is easy to load and unload. 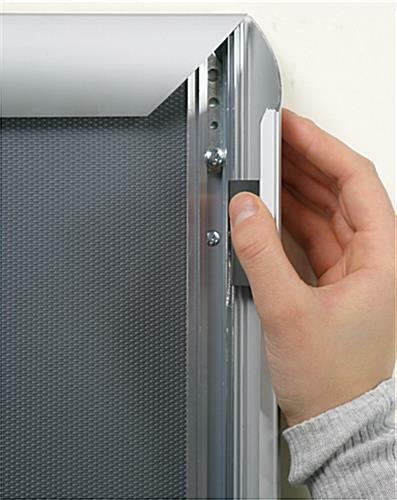 Every metal poster frame edge clips open so you can insert your visual graphic without taking it off the wall. 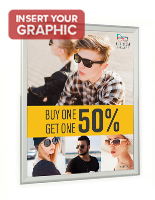 This sign supply, like other clip visual graphic frames, is preferable over back or side-loading showcases because they save you time! 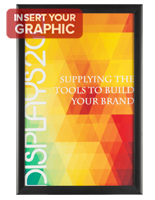 Purchase a sign supply for your bank, workplace, shop, or any other setting that makes periodic visual graphic changes. 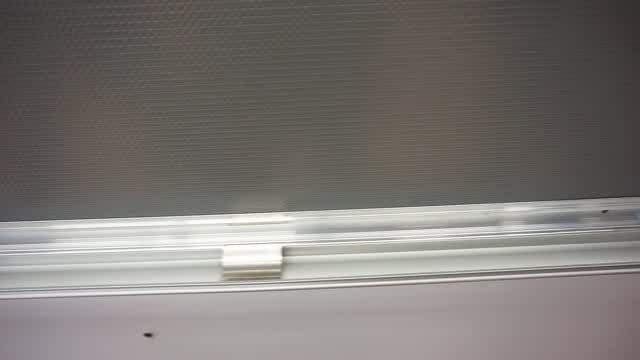 So that you have everything essential to set up this affixed to the wall exhibit, our company ships the sign supply with the fundamental tools. 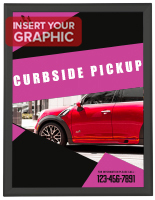 Furthermore, this durable sign supply for purchase contains a non-glare, PVC overlay to shelter your inserts and keep them in pristine condition. 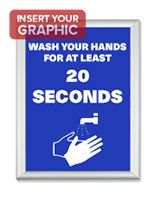 Visual graphic frames like this sign supply are recommended for inside usage only. 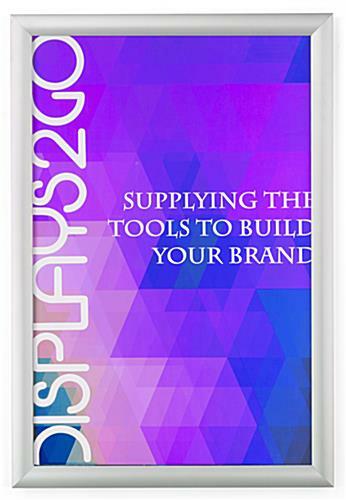 Overall Dimensions: 25-3/4" x 37-3/4"
Poster Size: 24" x 36"
Viewable Area: 22" x 34"